Today’s Rockin’ Friday tune is Quinn the Eskimo (The Mighty Quinn). Originally written by Bob Dylan in 1967, it has been covered by many artists over the years, including The Beatles, Manfred Mann and Phish. 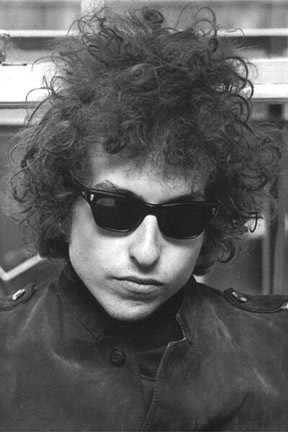 Dylan himself has said it’s a “simple nursery rhyme”. It’s a song about an Eskimo named Quinn who visits a forlorn village and immediately changes its’ sad state. People are pulled out of their despair so much merely by Quinn’s presence that they jump for joy. (Sort of like a great Will Ferrell cameo in a bad comedy.) Even all the pigeons run to Quinn, though they aren’t known to be a particularly finicky bunch. Side note: I’d already selected “Quinn” for this week’s tune when I found out that an old college friend and his wife (who I set up, thankyouverymuch) gave birth to a son just a couple days ago whose middle name is Quinn. 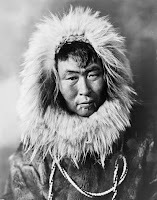 I have to imagine they were partly inspired by the magical traits associated with our beloved Eskimo. ** Is it just me or does Dylan's hair resemble an Eskimo's fur hood? Thanks for putting this song into my head for the next twelve hours. No, seriously, I'm not being sarcastic - the PAST twelve hours I was somehow stuck on "Saturday Night" by The Bay City Rollers, so this is a welcome change. Glad you enjoyed it, ST. The BCRs are enough to make anyone cuckoo!